Crime jazz, exotica, bachelor pad music played by a band known for its performances of Maxwell Davies, Varese, Nancarrow and Zappa. The show capped an ICE tour through the Midwest, when Schulthess unleashed the full fury of his band, everybody looked at one another in wild surmise. The looks said: "These cats are bad." If you weren't one of the 750 people to have seen ICE at the Fine Line Cafe, now is your chance to hear it for yourself - you won't believe a live band can sound this good! 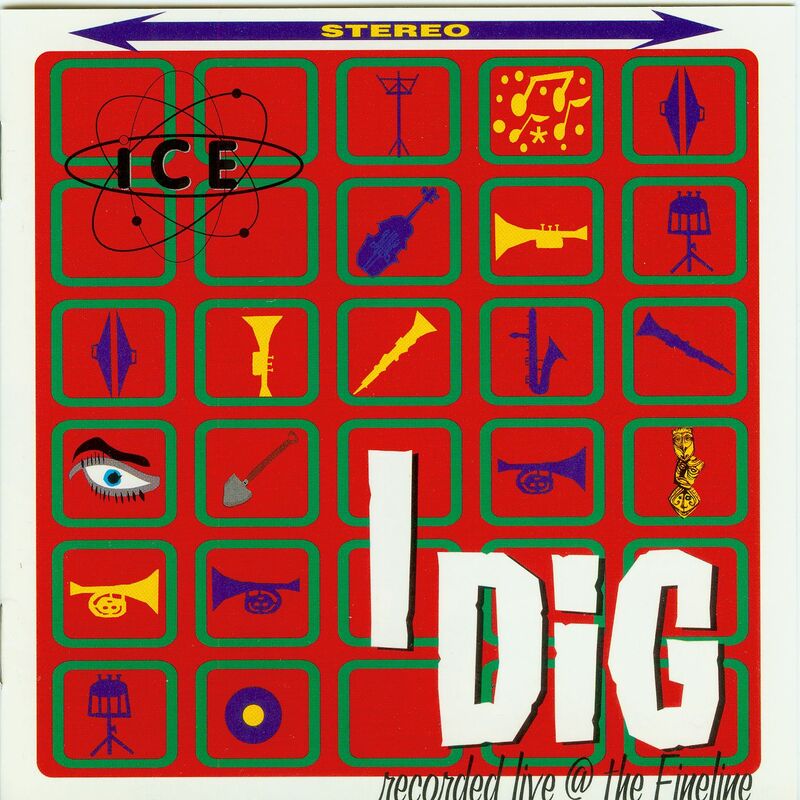 I Dig features a mammoth take-no-prisoners performance of Leonard Bernstein's classic Prelude Fugue and Riffs featuring lounge singer Vic Volare on clarinet. Also included is the first live performance of Henry Mancini's score to Orson Welles' film noir masterpiece Touch of Evil. I Dig showcases Janet Gottschall Fried from the Minnesota Opera on two Yma Sumac numbers, Taki Rari & Malambo #1, as well as a driving performance of Elmer Bernstein's Main Title from Man with the Golden Arm featuring Doug Little on tenor sax that will have you running for the repeat button. Throw in the world premiere of Three Views of Havana by the legendary Robert Drasnin (CBS Televison's Director of Music for over a decade) plus works by Quincy Jones, Les Baxter, Screamin' Jay Hawkins, and Joey Altruda, and you have I Dig, a MUST for your collection! "A thrilling performance both vocally and dramatically"